What a fuss Bitcoin is making in recent days! Tons of articles, reviews and surveys are coming out with only one goal — to predict whether it will stop falling and jump up to reach a new ceiling, or if we’ll see new depths on the BTC charts. There is barely one cryptocurrency expert who has not been engaged in this discussion. This year, when Bitcoin together with all its worshippers celebrates its 10th birthday, is the best time to get all your ducks in a row. I want to tell you what I think about the latest trends and near future of the first crypto. Hopefully, it will help you to answer the main question — to buy or not to buy. Let’s see if anything has changed in Bitcoin’s technology and nature. It is still completely independent, decentralized, and digital. Which means that it is not backed by banks, or national economics. It is anonymous, secure, global, and the total supply is still limited to 21 million. What does this say to average users? The crypto remains scarce, useful, and different from fiat money. You may say — things that are in demand, and can do what others cannot, will never lose their value. Why then can Bitcoin not find the bottom and is still drowning? Well, if you remember the situation with the tech market at the turn of the century, you can see similarities between BTC and high technology. Internet bubbles, crashes, and dizzy climbs: we have seen this recently, and now the situation seems to be more stable. Just the same with major cryptocurrencies — they are very young, and they are in fashion. It results in quick soars and dips, because when too much attention is focused on the asset, a tiny price movement causes great hopes or avalanche-like panic. Let’s see where Bitcoin is right now and how it got there. I’ll start from the huge excitement we observed on the 17th of December 2017, when the BTC price skyrocketed up to 19,000 USD, and higher. It was the all-time ceiling of the main crypto, but it did not hold this record even for a day. On the eve of the 2018 new year, bitcoin cost almost seven thousand dollars less. Then, in a week, it rose by three thousand, then lost even more, and these roller-coasters dragged BTC up and down for several months, until in June-July it found the floor and stood comparatively still at approximately six to seven thousand dollars per bitcoin. This peace and stability were short-lived. November 13th, 2018, was the “Black Tuesday” of Bitcoin, when the price moved below $4,000, and may dip even more. 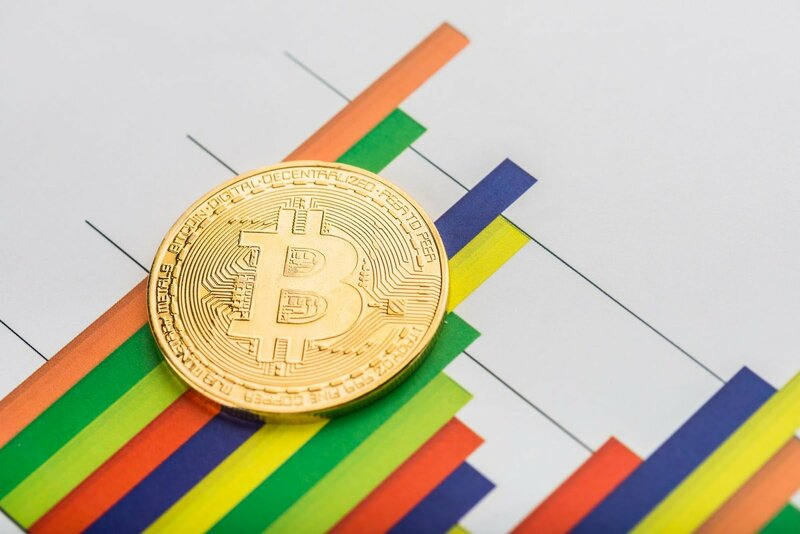 Bloomberg gives a very pessimistic prognosis: its crypto analyst claims that Bitcoin is captivated by the negative market sentiment, and the sell off will continue, which is clearly seen from the highest ADX level. ADX is the special index that is high when the trends are bad. Mike McGlone, the expert from Bloomberg, foresees the price around 1,500 USD. Another reason for this drop may be the recent Bitcoin Cash fork, which happened in November. It was not the first split in the BTC offspring, however, this time two groups of programmers did not manage to reach a consensus about how to develop their project. This disagreement did not affect classic Bitcoin directly, but still the major investors felt themselves insecure, because this case clearly shows how nascent the digital asset is. So, they’ve rushed to the exit. Moreover, many crypto users sell out their holdings at the end of the year to pay taxes, buy gifts, etc. New regulations, especially bans and restrictions, from national governments do not make things better. Fear of malicious manipulations, bad news from TV, and slight changes in the supply and demand may cause significant fluctuations in the market sentiment. Bitcoin investors begin to dispose of their tokens, which leads to further panic, and the situation becomes a vicious circle. But the price never drops endlessly, right? There are many reasons to buy in a bear market. There is an indicator, Meyer multiple, according to which the current price of Bitcoin is lower than its medium historical value. All this says that even in the short run Bitcoin is a good buy now, when it is cheaper. Remember the basic rule of playing the market — buy when everyone is selling, and sell when everybody is buying. In conclusion, I would like to say that Bitcoin is more of a long-term investment tool. When you buy cryptos, you should keep in mind that you take part in something novel, still unknown, with huge potential. This technology is about advancing the entire world of e-commerce, statistics, finance, etc. This is why bitcoins are good for patient players. Yes, it has become a disaster for many traders, imagine those poor fellows who’ve purchased coins for $19,000. Well, dealing with cryptos is like gambling: you should be wise and very careful, because you can lose all. However, there are BTC holders who have bought them several years ago. In 2013, they could buy five coins for ~ 100 USD. Despite all the crashes since those days, now they own assets at the cost of approximately 19,000. You may say, it would be wiser to sell them off when each token was worth this money, but who knows where the next huge bull run will bring the BTC price up? And as history shows, there will be the one, and very soon. Why am I so sure? I have my reasons, and we’ve talked about them above. First — bitcoins will stay in demand, as they are necessary for lots of people. Second — their number is limited, and the supply will only decrease with years, because mining will bring less bitcoins, as this is how the system works. This is why I tell you — do not wait until BTC shoots up, and the charts become mouth-watering. The predictions of Mr. McGlone may never come true. Personally I rely on the opinion of such experts, as the Blockchain investor Oliver Isaacs, Donald Bullers from Elastos, or Mati Greenspan from eTorro. They all say that cryptos are far from dead, and this is a good time for investing.